T cell is a subtype of white blood cell that plays a central role in cell-mediated immunity and responsible for immune responses. T cell-mediated immunity impairment was created in animal models using immunosupressive drugs and they were co-administered with Pesin for 30 days. The T-cell level was checked at regular intervals. Despite the administration of immunosuppressive drugs, the effect of Pesin on T cell proliferation was significantly high. Pesin capsule is proven to be an ideal drug for treating various immunosuppressive disorders. The study proved that the effect of immunosuppressive drug Methotrexate was not affected by Pesin and SIVA herbal drops administration. The effectiveness of drug depends on its dissolution in the gastrointestinal tract fluids prior to the absorption and then into the systemic circulation. 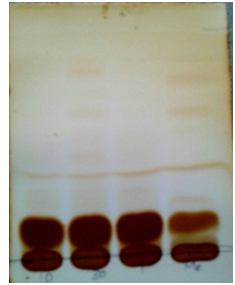 To reconfirm the effect of pH on drug release, Thin layer chromatography (TLC) was performed. 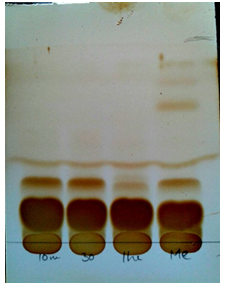 Rate of release of Pesin was found to be high in pH 4 & 7 and minimum time required for dissolution was 30 min. Addition of Pesin capsule powder to the dissolution media increased the pH of the media. Sanguparpam significantly increased the pH and thereby increased the release of various herbs as well. The study findings showed that high pH of 4 and 7 facilitates greater dissolution of drug and helps in its absorption and therapeutic activity . Therefore, the dosage mentioned for Pesin capsule to be taken after food is justified and reconfirmed by TLC analysis.